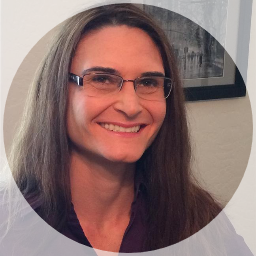 Danielle M. Philipson has more than 15 years of experience in health care administration, including experience providing online education in the healthcare field. She holds a Master of Health Administration from Cornell University and a Bachelor of Arts from University of California, Irvine. Instructor Philipson has taught courses on healthcare informatics, medical law and ethics, healthcare planning and evaluation, and healthcare finance, among others. As a healthcare consultant, she assisted clients in developing enterprise wide improvement plans, organization-wide training regarding the use of data in decision making, developing data infrastructure to support continuous improvement activities, and implementing Lean as a management system in the healthcare environment. Prior to working as a consultant Instructor Philipson worked as the data manager to support five hospitals and one shared services campus through their Lean implementation, as a senior performance improvement coordinator at Long Beach Memorial Medical Center (Long Beach, Calif.), and as a clinical performance analyst at Eisenhower Medical Center (Rancho Mirage, Calif.). In addition to her experience in hospital environments, she has worked in a variety of other healthcare settings including a student health center, a pediatrics office, and an imaging company. Since 2006, she has served as an online adjunct faculty member and has developed healthcare courses for a number of institutions. In her spare time, she enjoys traveling internationally and spending time with her family, including the German Shepherd that she rescued in 2013.